Literature on effects of equine therapy in individuals with autism spectrum disorder (ASD) has grown in recent times. Equine therapy is an alternative multimodal intervention that involves utilizing a horse to remediate core impairments in ASD. Recent systematic reviews in this area have several limitations including inclusion of populations other than ASD, assessment of a variety of animal-assisted interventions other than equine therapy, and a failure to conduct quantitative analyses to provide accurate effect size estimates. We conducted a focused systematic review to address these limitations. Our review suggested that equine therapy has beneficial effects on behavioral and to some extent on social communication skills in ASD. The evidence for positive effects of equine therapy on perceptuo-motor, cognitive, and functional skills is currently limited. DC and AB’s work on this manuscript was supported by the Leadership Education in Neurodevelopmental and Related Disabilities (LEND) grant from the Maternal & Child Health Bureau (MCHB) of the Health Resources and Service Administration (HRSA) under grant number T73MC30116 (PI: Beth Mineo and Co-I: Brian Freedman). AB’s work on this manuscript was also supported by an Institutional Development Award (IDeA) from the National Institute of General Medical Sciences of the National Institutes of Health under grant number U54-GM104941 (PI: Binder-Macleod). Coding Form: Effects of Equine Therapy on Individuals with Autism Spectrum Disorder: A Systematic Review. American Hippotherapy Association. Hippotherapy as a treatment. Available at: http://www.americanhippotherapy association.org/hippotherapy/hippotherapy-as-a-treatment-strategy/. Accessed June 16, 2017. Lecavalier, L. (2006). Behavioral and emotional problems in young people with pervasive developmental disorders: relative prevalence, effects of subject characteristics, and empirical classification. 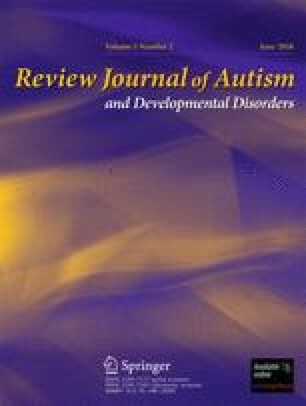 Journal of Autism and Developmental Disorders, (8), 1101–1114. https://doi.org/10.1007/s10803-006-0147-5. PATH International. PATH International home page. 2011. Available at: http://www.pathintl.org/. 2017. Accessed June 16, 2017.